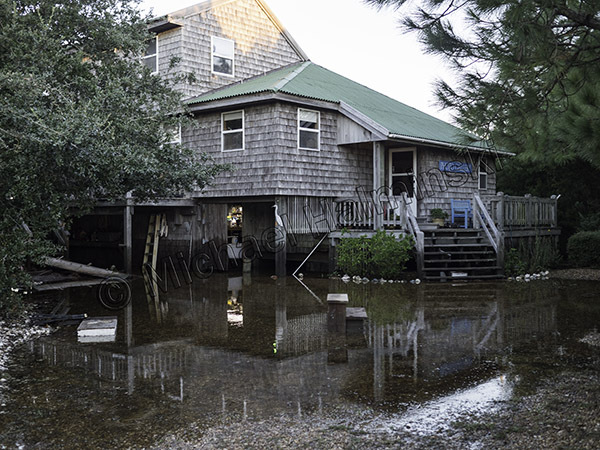 As Florence changed course and battered other portions of North Carolina, many here thought that we’d escaped its power. In the meantime, torrential rain flooded inland rivers that would eventually feed into the sounds along the coast. For the three weeks after Florence, I noticed a salinity drop and a higher tide level in Pamlico Sound behind my house. 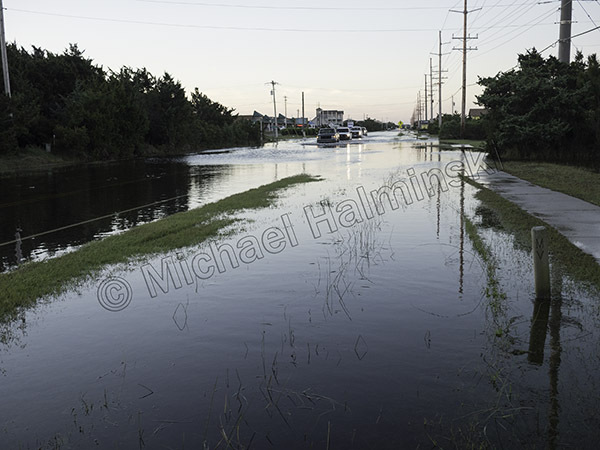 In fact it was 2 feet higher than normal, and stayed that way as Hurricane Michael steamed into the gulf coast of Florida. When Michael’s path steered more to the west with winds of about 50, our prospects were looking better, although I recalled other storms taking a similar course, pushing the sound waters eastward. I expected tide so prepared for some rise. By eight o’clock on the night of the 11th the wind began shifting southwest and picking up. My barometer read 990 millibars and then the water began coming in. It rose until after midnight, and was 3 feet deep in the yard. Then as fast as it came up, it receded by early morning. My house has another water line notch on it. 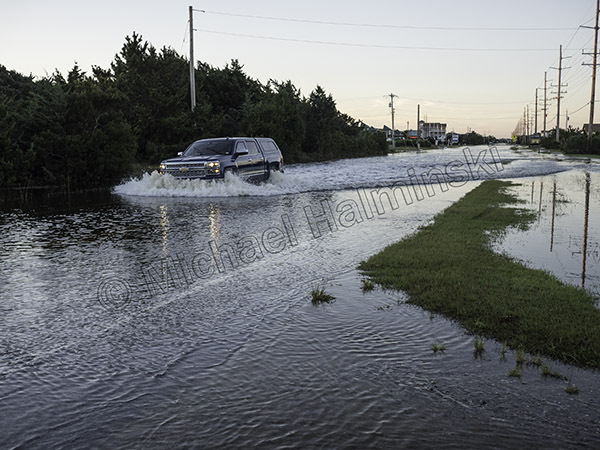 By sunup most of the water had drained off, but Route 12 still had issues with standing water. Driving through it is hazardous to your vehicle’s health. Driving through the tide is even worse when you navigate on the deeper side of the road at a higher rate of speed. That was a nice new truck! 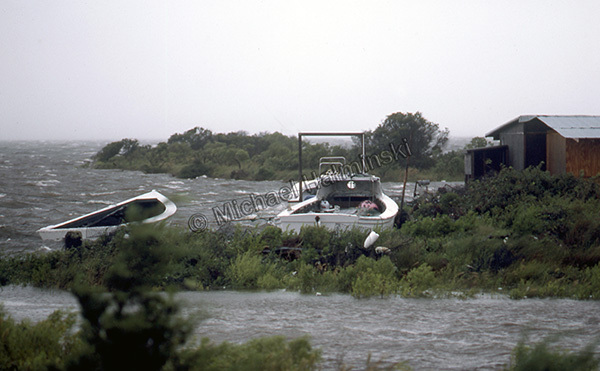 The stories of stranded and flooded vehicles were numerous. To compound matters there was no evacuation order. The campgrounds were a mess. Flotsam and jetsam were everywhere within the water’s reach. Cisterns next to my house have waterlines to show the flood depth. Being filled with fresh water, they tend to float as the more dense seawater gets deeper. 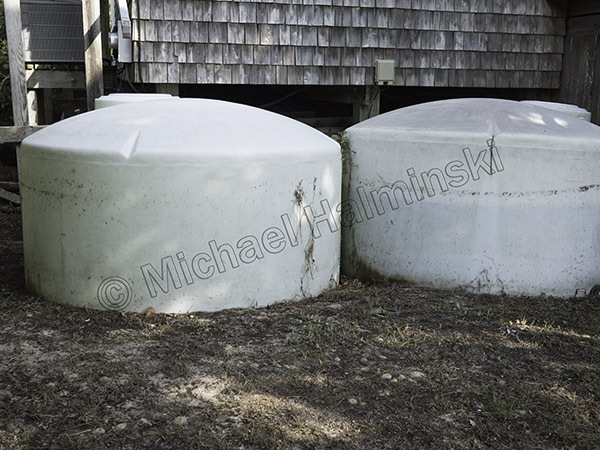 The tank on the right was only three quarters full and came up a foot off the ground. By my count, this was the 4th highest tide that I’ve seen here in 45 years. 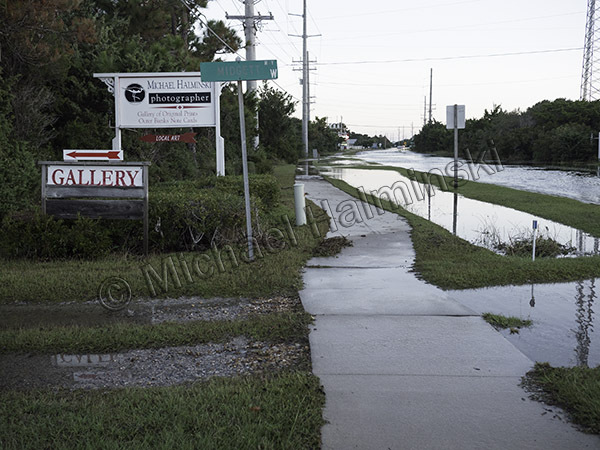 It was 32 inches below Irene, our highest with a ten foot storm surge. 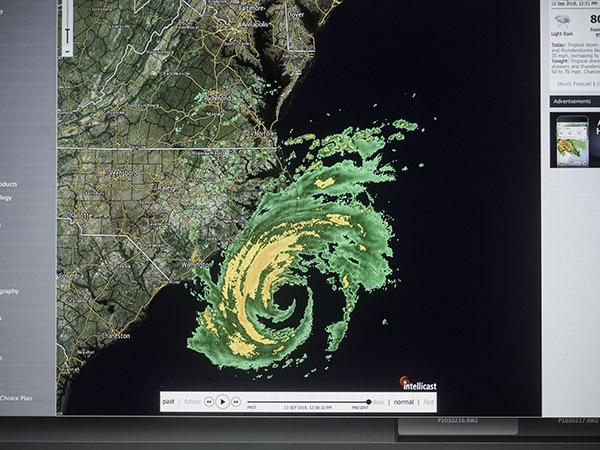 Right in between at 16 inches below Irene, there’s Arthur 2014 and the March storm of 93. I’m always amazed at the resiliency of the salt marsh, particularly after a flood. A rack line of debris shows forces at work. 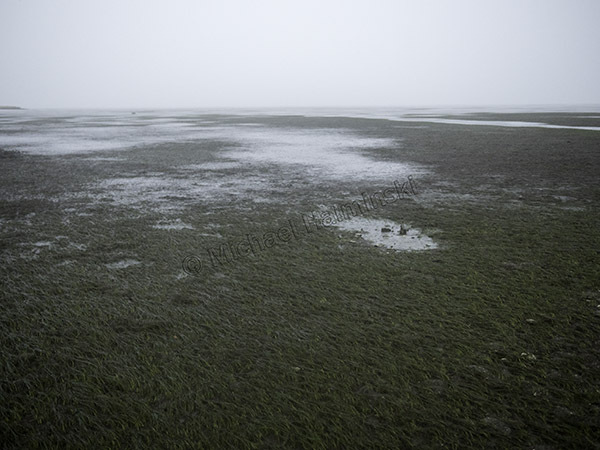 In six months it will be completely decomposed with tall thriving marsh grasses in its place. The wetland looks healthier for it and flourishes come drought or high water. 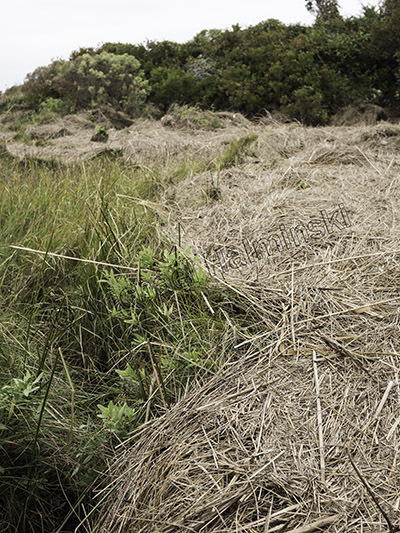 This section is composed of mostly black needle rush, sometimes called juncus grass. 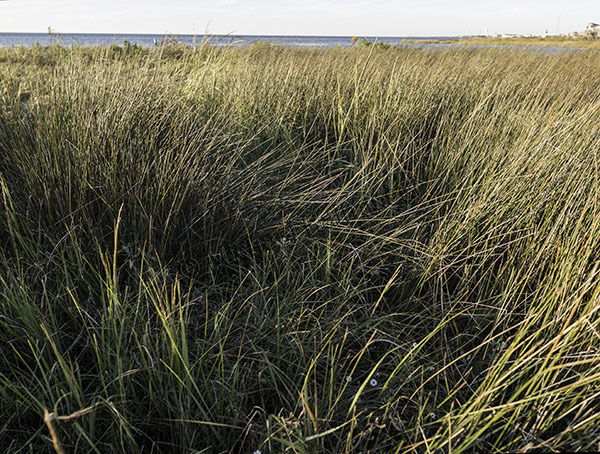 In adverse conditions it provides great shoreline protection for my property. 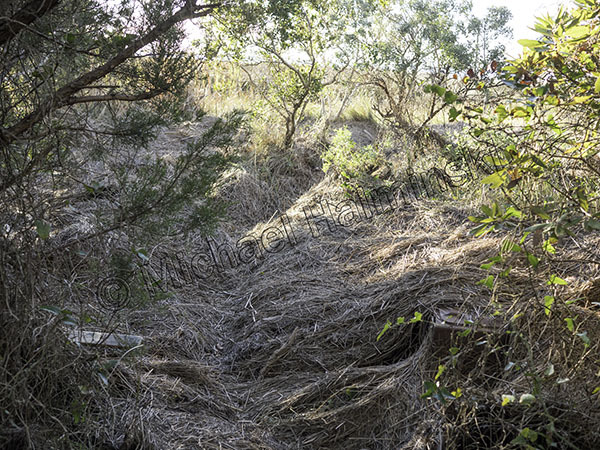 It’s also a desirable habitat for clapper rails and seaside sparrows. 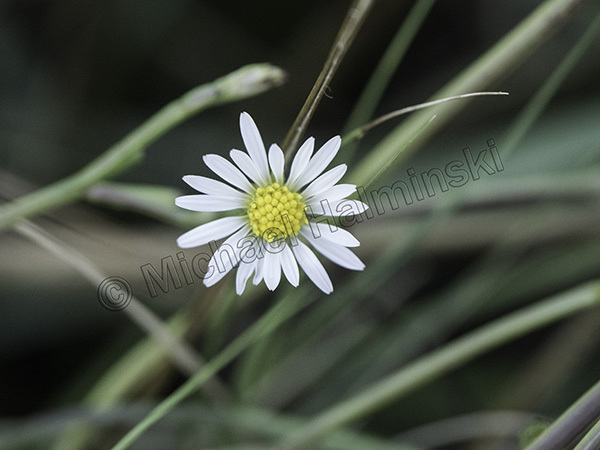 About the size of a dime, the marsh aster is still beautiful after being inundated with wind, waves and sea water. 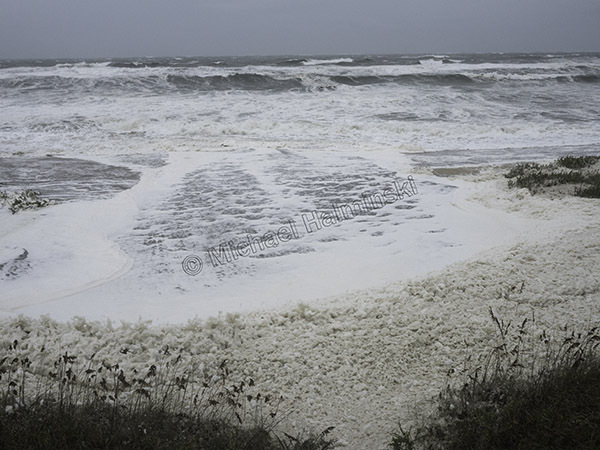 This entry was posted in Outer Banks, Pamlico Sound, storms, vegetation, Weather on October 24, 2018 by j0jgvm89bj. 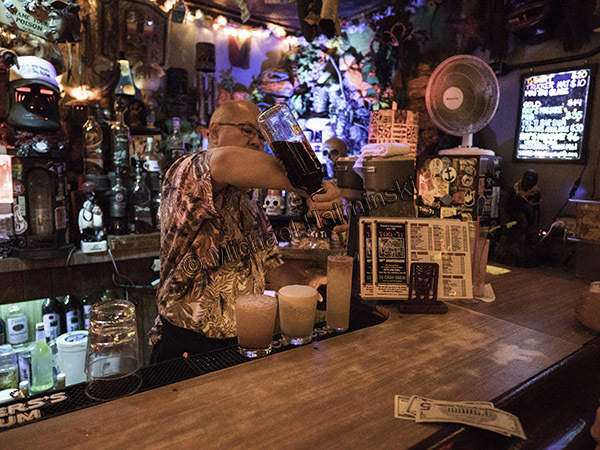 A week ago I sat at the Tiki-Ti bar in Los Angeles watching a bartender making tropical drinks, like Hurricanes. Today I’m sitting in my house in the fringes of Hurricane Florence. What a difference. Real hurricanes spawn emotions like no other. Preparation is tedious and keeping updated on the storm essential. But at some point one must cross the line of either staying or evacuating. It’s a serious decision to make. Based on all the information I could process on Florence, I decided to stay. 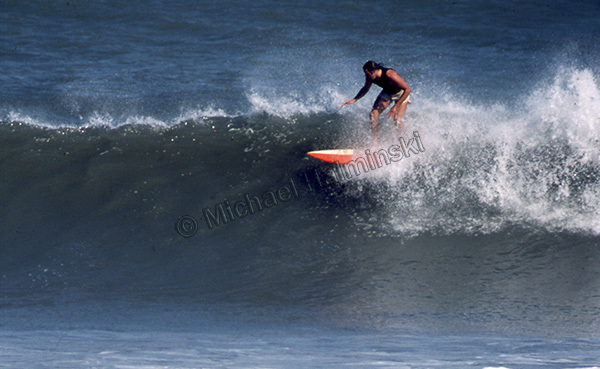 Yesterday was gorgeous with big puffy clouds and building surf. Today is much different as weather rapidly deteriorates. Highway 12 has no traffic and almost everyone’s gone. At noon the eye of Florence was right below Cape Hatteras and moving in on Wilmington. By the end of the day, strong winds from the east had lowered the Pamlico Sound behind my place by about 4 feet. Overnight was wet and windy, though not extremely so. Barometric pressure never went below 1008 millibars. The bullet dodged us. 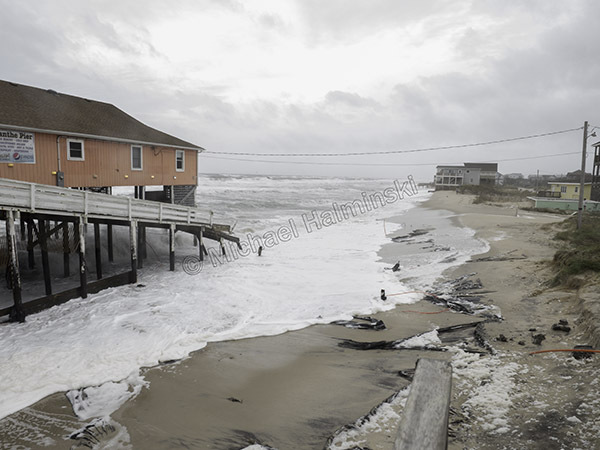 Next morning the first place to look is Rodanthe Pier. It always was the go-to spot and still is. I hope this isn’t last legs for our local hangout. It’s a constant maintenance pit. This swirling environment is also tough on a new Leica lens. 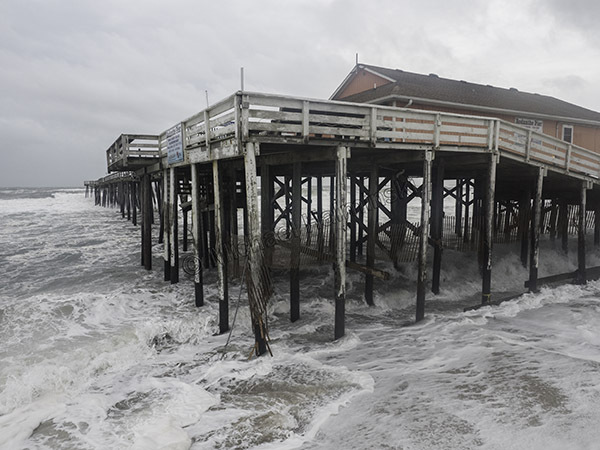 The erosion around the fishing pier has accelerated in the last few years, and it doesn’t resemble anything like it was 30 or 40 years ago. 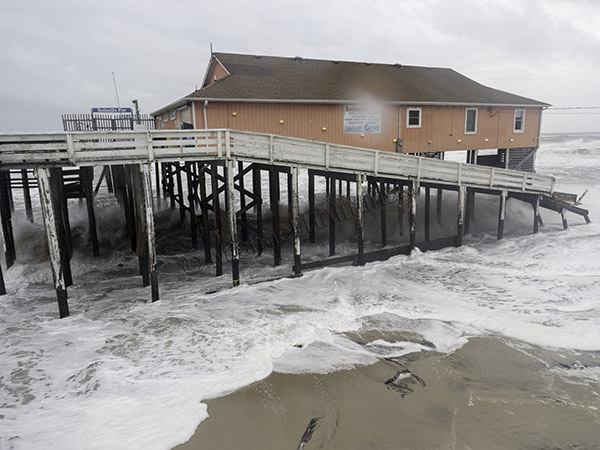 It appears the pier itself has basically been spared this time. 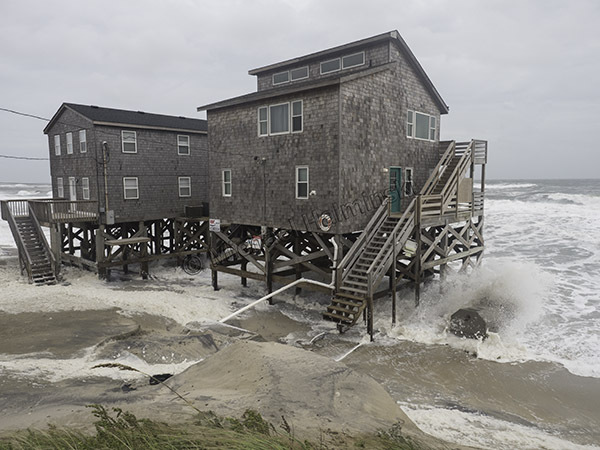 Meanwhile in North Rodanthe the beach continues its retreat. 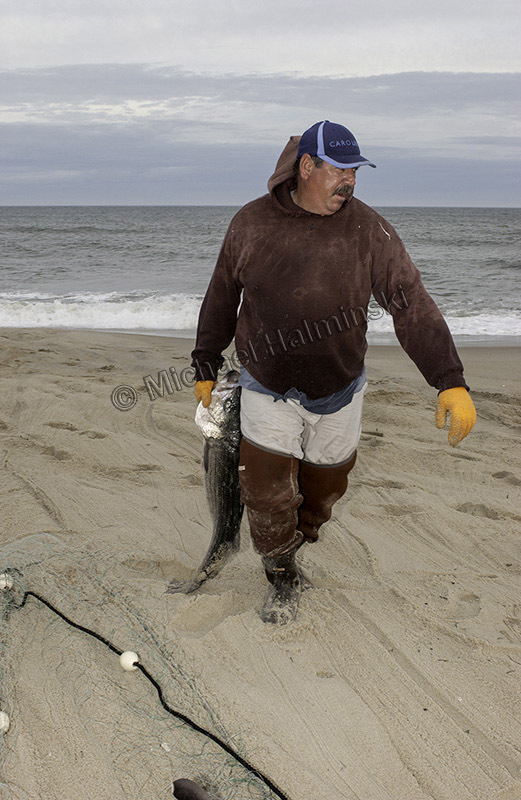 The beach in Salvo remains broad and more able to sustain nature’s onslaught. What’s next, take down the plywood already? 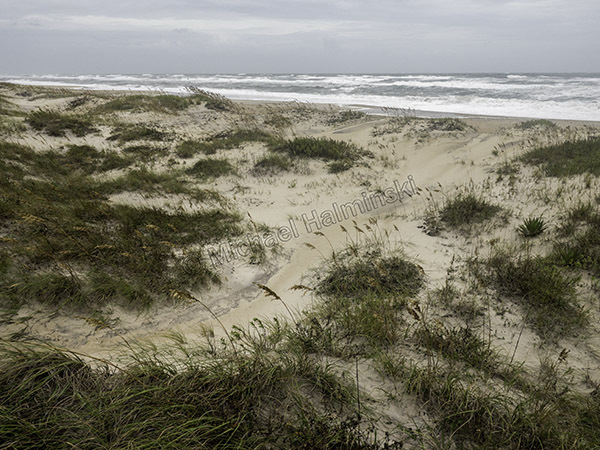 This entry was posted in Outer Banks, storms, Weather on September 13, 2018 by j0jgvm89bj. 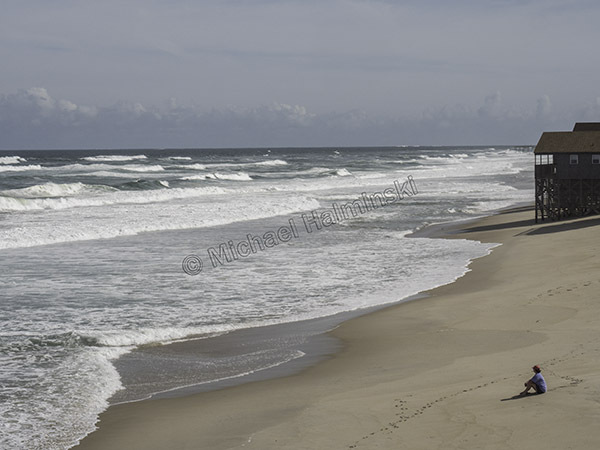 Cape Hatteras is well known for it’s proximity with the offshore waters known as the Graveyard of the Atlantic. Over the centuries there have been numerous documented shipwrecks and loss of life. Most of these have been weather related incidents, but some were a result of German U-Boat activity off our coast during both world wars. One of the most notable was the daring rescue of 42 British sailors by personel from Chicamacomico Coast Guard Station in Rodanthe. On August 16, 1918, the tanker Mirlo, carrying a load of fuel for the war effort in Europe, was struck several miles offshore by a torpedo fired by the U-117. The explosion split the tanker in two, setting the sea aflame. The Mirlo Rescue was led by Captain John Allen Midgett, the officer in charge at Chicamacomico. 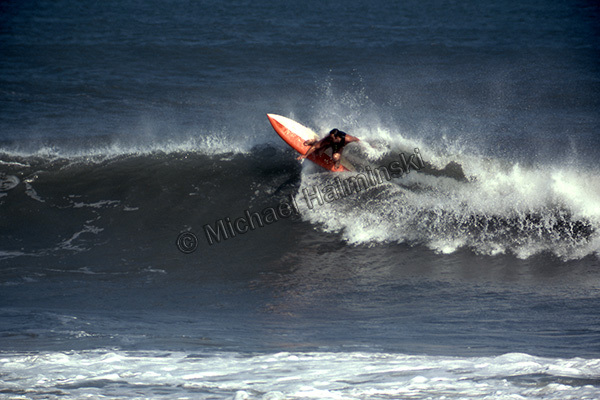 He was accompanied by 5 surfmen: Zion Midgett, Arthur Midgett, Prochorus O’Neal, Clarence Midgett and Leroy Midgett. They were all awarded Gold Lifesaving medals from the British Government and the American Grand Cross of Honor. It has gone down as one of the most heroic rescues in the history of the United States Coast Guard. As a former president and board member of Chicamacomico Historical Association, I attended the recent centennial commemoration of the Mirlo Rescue. 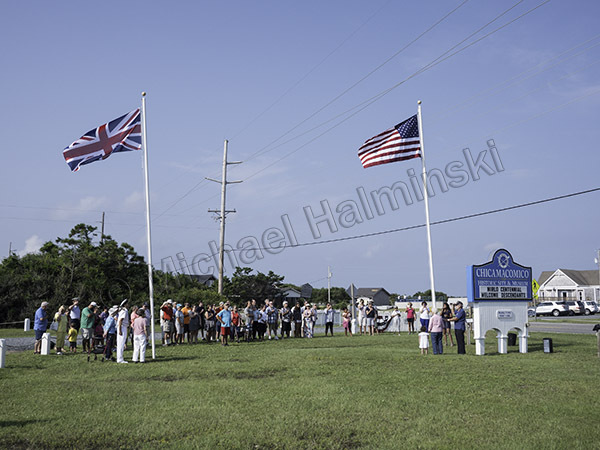 The day began with the raising of colors of Britain and the United States. Chicamacomico Station was all decked out. 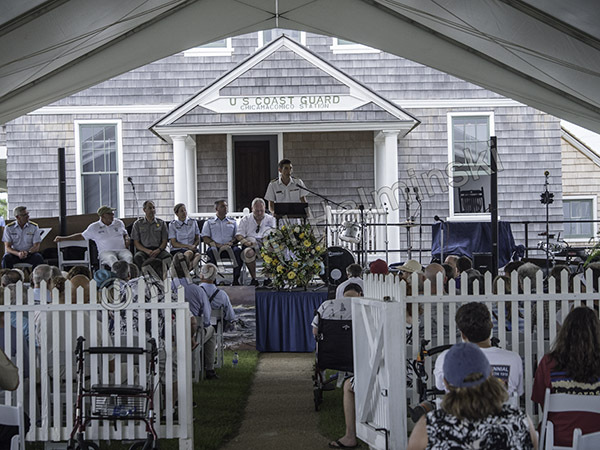 Dignitaries representing the British Government, U.S. Coast Guard and descendants of the rescuers and were on hand to pay their respects. 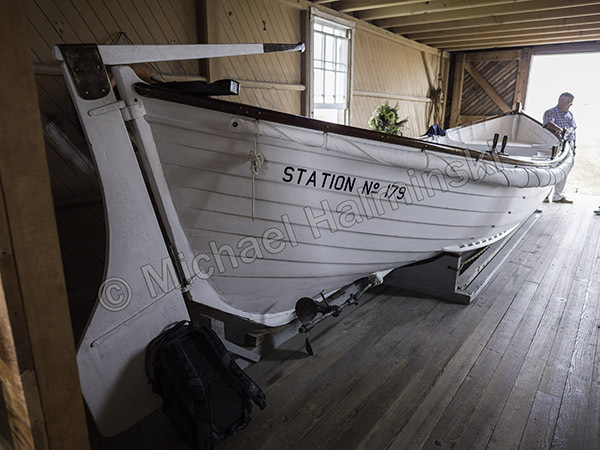 The newly restored Bebe-McClelland Surfboat used in the rescue was on display in the original 1874 station. 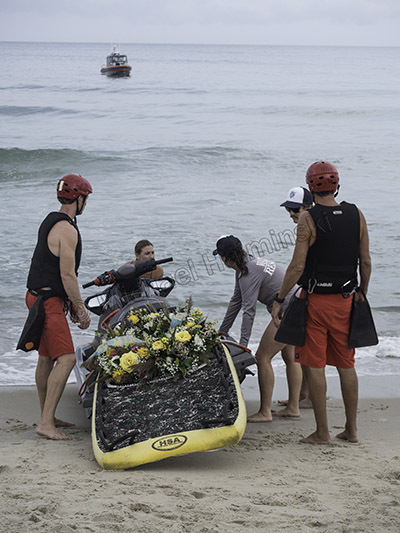 The event was culminated, as reenactment surfmen carried a wreath on the beach cart out toward the ocean. 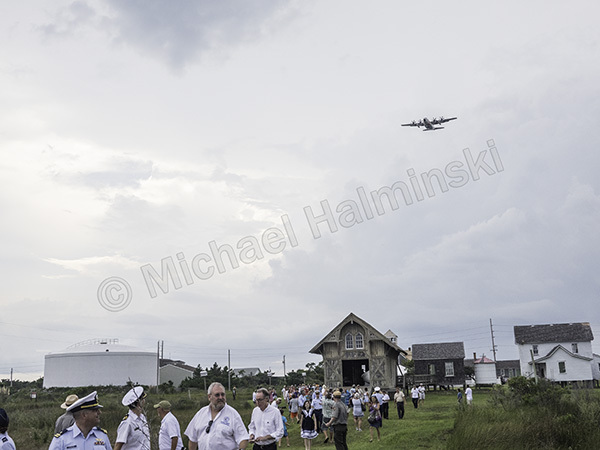 At the same time the U.S. Coast Guard out of Elizabeth City Air Station conducted a flyover. 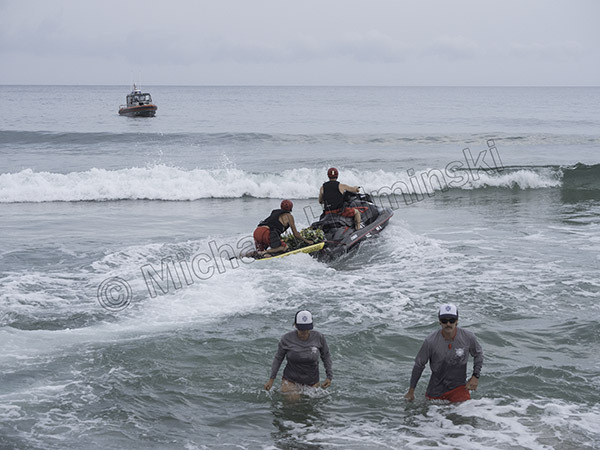 The wreath was then transferred to the Chicamacomico Water Rescue Team’s jet ski, and handed over to an awaiting Coast Guard vessel. 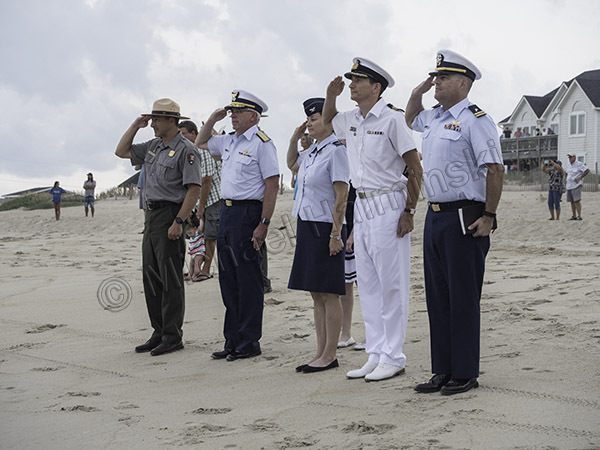 The Coast Guard then committed the commemorative wreath to the sea, miles offshore at the site of the famous Mirlo Rescue, a hundred years to the day. 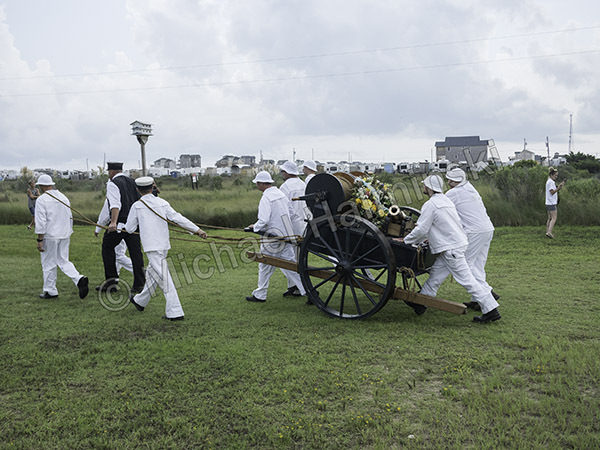 This entry was posted in history, military, Outer Banks, People, shipwrecks on August 23, 2018 by j0jgvm89bj. 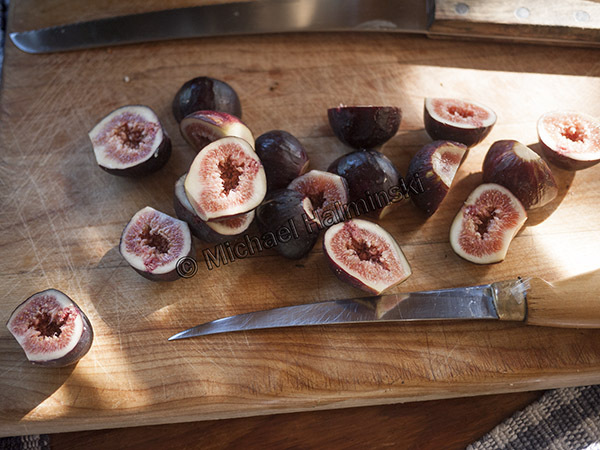 This time of year local figs are ripening. 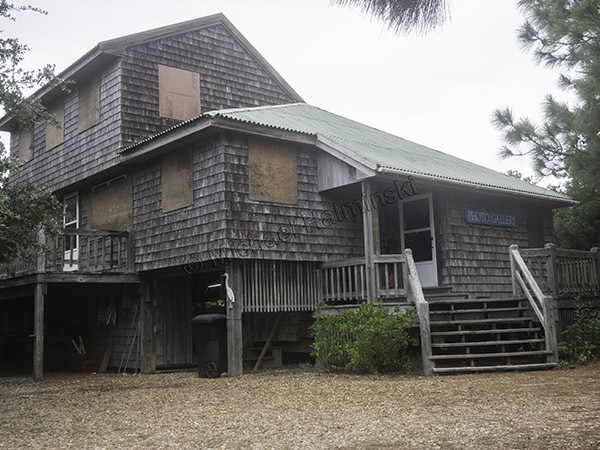 They have long been a staple on the Outer Banks. 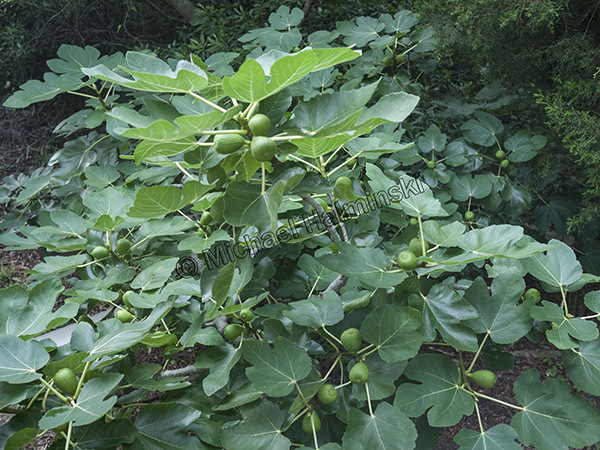 Nearly all the old family homesteads have a fig tree or two growing in the yard. 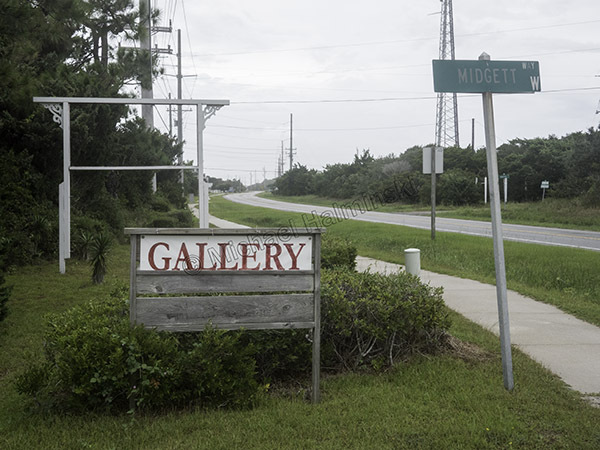 When the US Lifesaving Stations were active, they almost always had a fig tree nearby. Sandy well-drained soil helps and they seem to thrive come hell or even high water. 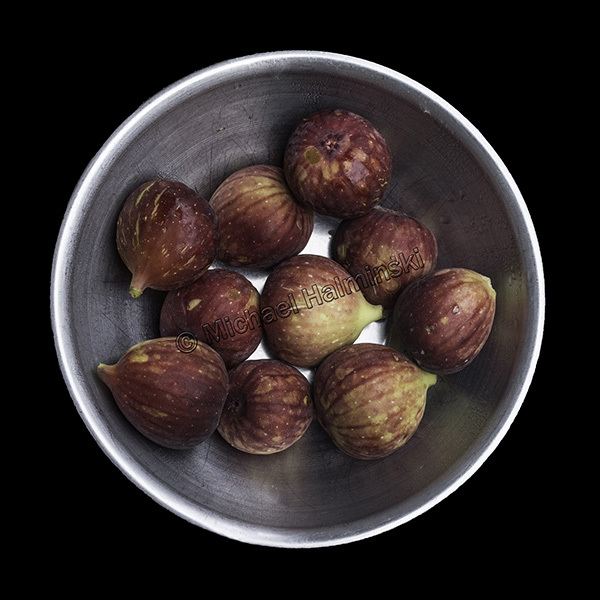 Originating in the middle eastern countries and Asia, figs must have been introduced here from early sailing ships. The tree I planted in my yard 30 years ago is having a productive season. A big ripe one is ready to pick, while new ones form. I picked a bowl 2 days ago. They’re best eaten soon after harvest. I love them raw or cooked stuffed in a baked chicken. 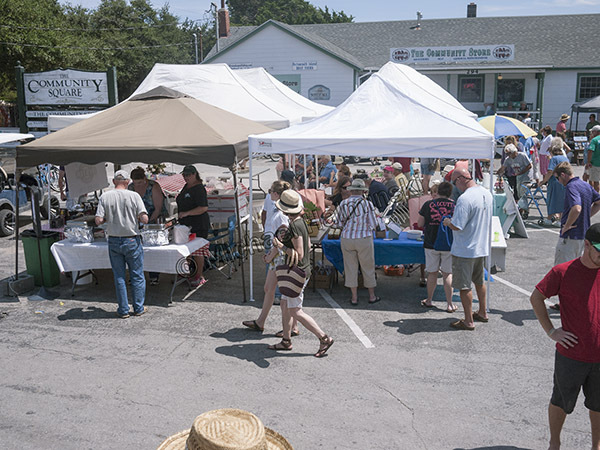 In August of 2015 I attended Ocracoke’s celebration of the Second Annual Fig Festival. 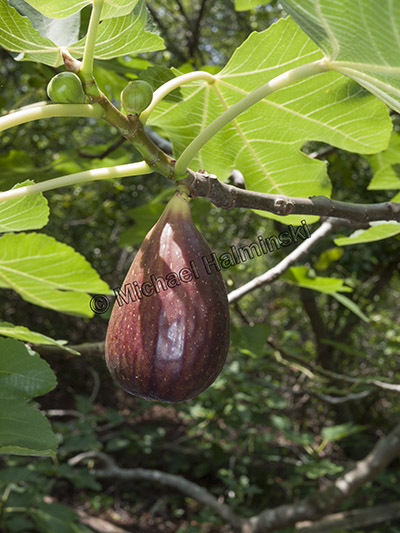 Ocracoke is gifted with a wide variety of fig trees and islanders have nurtured them for generations. The festival ran for 2 days and featured presentations, entertainment and most of all, figs and fig related goodies. 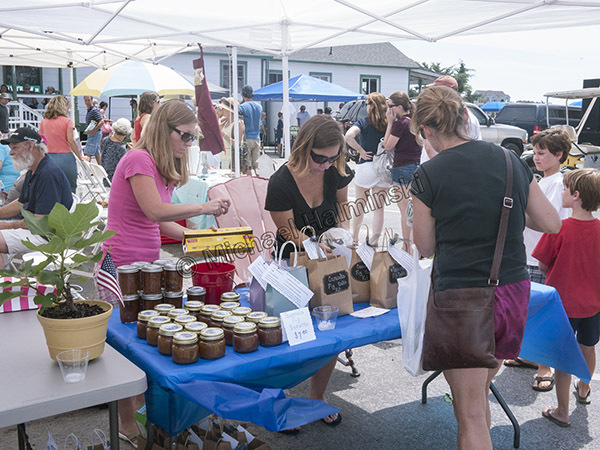 Vendors were there with homemade preserves and potted plants. 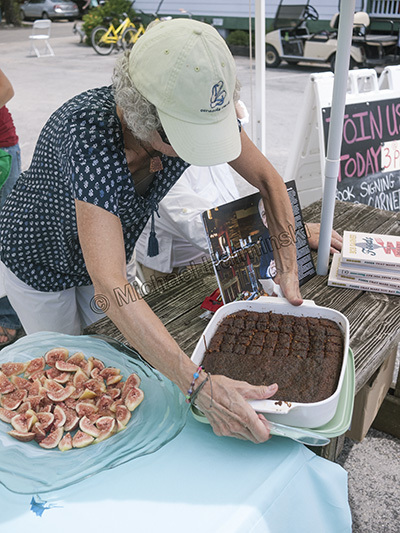 Locally made fig cake was a delectable favorite, not to mention samples of freshly picked figs. 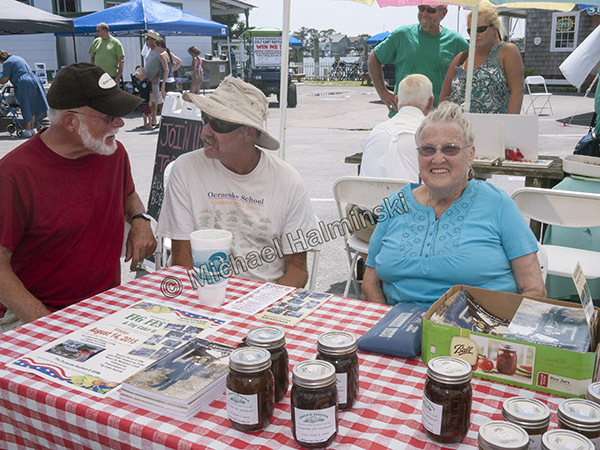 In 2015 I met Della Gaskill and bought some of her homemade preserves and a signed copy of her book, A Blessed Life, Growing Up on Ocracoke. To her right, son Monroe shared fig stories with Phillip Howard. 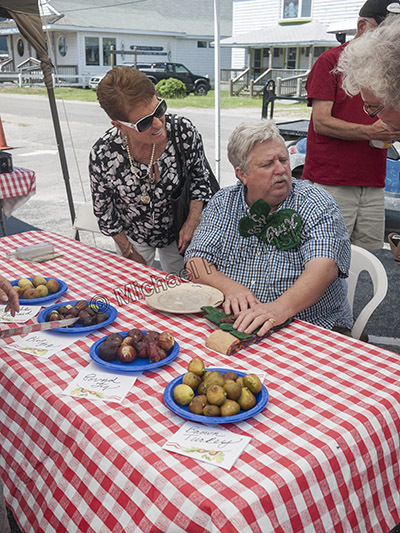 Ocracoker, Chester Lynn is the local go-to person on fig culture and lore. He’s spent a lifetime studying and propagating figs. 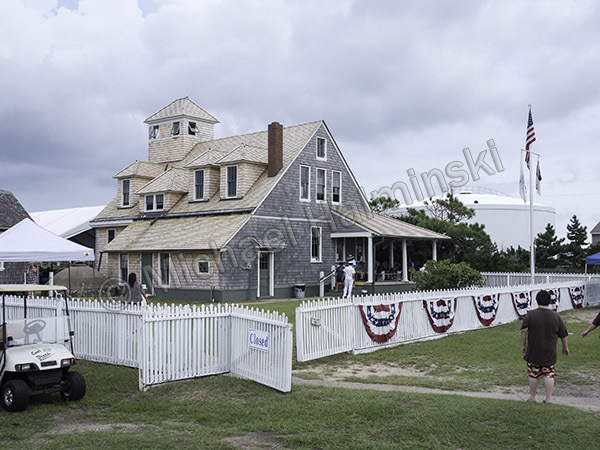 This entry was posted in Outer Banks, People, vegetation on August 14, 2018 by j0jgvm89bj.